Riteish & Genelia's Love Story Had The Most Unexpected Beginning Ever! Love can be found anywhere, at any given time and with anybody. And first impressions are just over-hyped. No, I'm not iterating the same old facts about love and relationships. 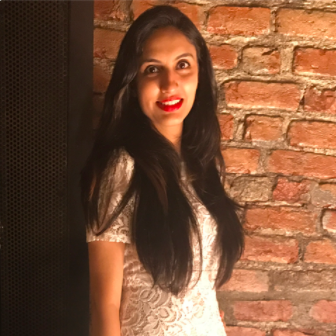 I'm telling you the two most important things I realised after getting to know the beautiful love story of Riteish Deshmukh and Genelia Dsouza. Their story began at an airport, in the weirdest circumstances and it could have only been fate that brought them together because both Riteish and Genelia were not off to a very good start. In fact, the cutest couple in B-Town did not go out on dates or formally propose to each other. They only found solace with each other and that is what love means to them. Anyway, let's begin from the beginning. Riteish and Genelia met at the Hyderabad airport in 2003 during the test shoot of their first movie Tujhe Meri Kasam. Genelia was all of 16 when she first met Riteish, who was 25. He was the son of the then chief minister of Mumbai, the late Mr Vilasrao Deshmukh. Genelia assumed that since he comes from an influential family, he will have an air about himself and so she just formally shook his hand and started looking the other way. Of course, Riteish found that really weird. And that's how their first meeting went! Then began the shooting for the movie and with all the time they spent together, they realised that they were so wrong about each other. 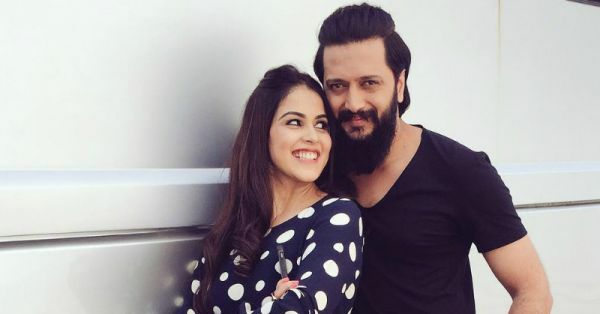 Genelia noticed that Riteish was actually a very humble and decent guy and even Riteish fell in love with her bubbly nature. Time passed, the shooting went on and they became good friends. Genny would talk to Riteish about her college and he would discuss architecture with her. Oh yeah, Riteish is a professional architect. Man of many talents, you see! Genelia found it very endearing that Riteish was extremely down-to-earth and respectful towards everybody, despite being the CM's son. Their friendship developed further and they became buddies on and off sets. But like they say, all good things come to an end (before starting again) and the shooting got over. They returned to Mumbai and that's when they really started missing each other. They never realised when they fell in love with each other. It was a gradual thing, and it just happened. There were no formal proposals, no date nights, nothing. Just two people who loved each other's company found comfort in it and wanted to be together forever. At that time rumours were rife about Riteish and Genelia being a couple, but neither of them paid much heed to it. Rumour mills also said that they wanted to get engaged, but Riteish's dad wasn't ready for the inter-caste marriage. These could very well have been baseless rumours, we will never know. All we do know is that they fell in love young and after a beautiful nine-year long relationship, they finally tied the knot in a traditional Marathi ceremony on 3 February, 2012. They also had a beautiful Christian wedding the same day at St. Anne's Church in Bandra. They have always respected each other's religion and customs and that is part of what makes them such an amazing couple. Genelia gave up her successful Bollywood career and happily embraced married life after she became Mrs Deshmukh. Their first son Riaan was born on 25 November, 2014 and their second bundle of joy Rahyl came into the world on 1 June, 2016. In a time when a year seems like a long time in a relationship, Genelia and Riteish have restored our faith not only in marriages, but in the entire concept of love.